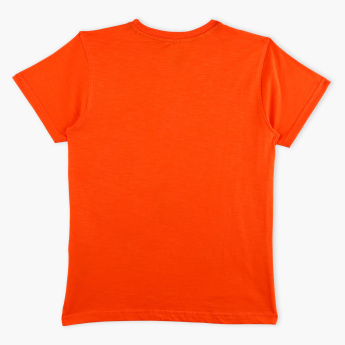 Enhance your child's collection by adding this attractive t-shirt. 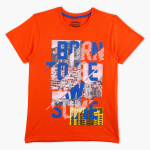 The vibrant tone and graphic print lend a charming look to your kid. Pair it with a contrasting shade of shorts or trousers to give a complete look.